Yesterday’s bike ride and then the drive from Tallahassee to Ocala wore us both out. We decided that we would spend an extra day here in Ocala. 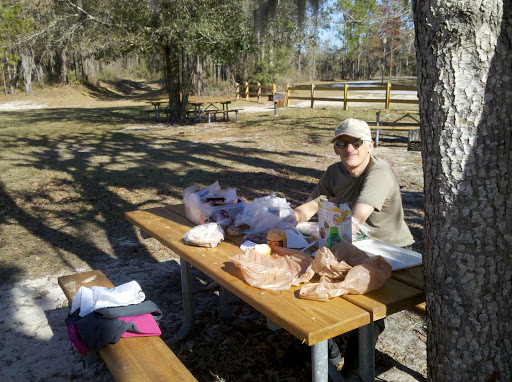 After attending church at Ocala First Assembly we stocked up on lunch supplies and drove to a nearby county park. It was wonderfully peaceful there. 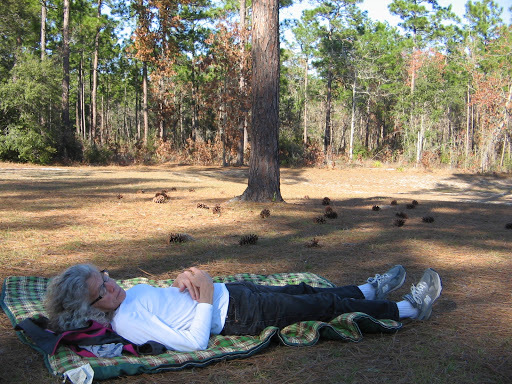 After lunch we spread a blanket under a pine tree and rested there for most of the afternoon. 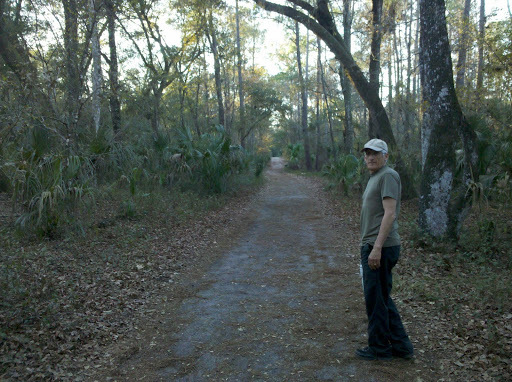 After leaving the county park there was still enough daylight to check out the nearby Silver River State Park. There were a couple of interesting trails that we walked on. 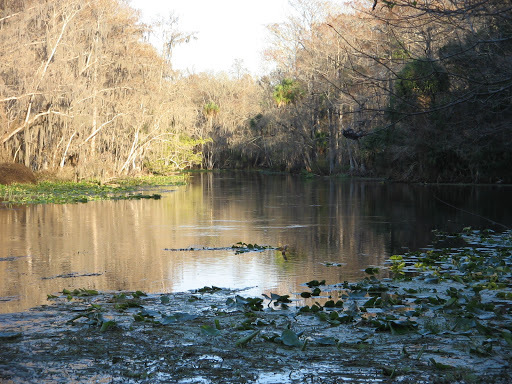 One trail led us down to the river, where we saw an alligator floating near the shore. The alligator sighting was not that unusual because we have seen them before on our trips to Florida. 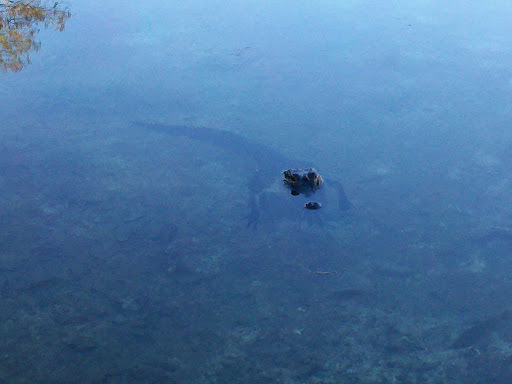 On the other hand, the wildlife yesterday at Wakulla Springs was a special treat. 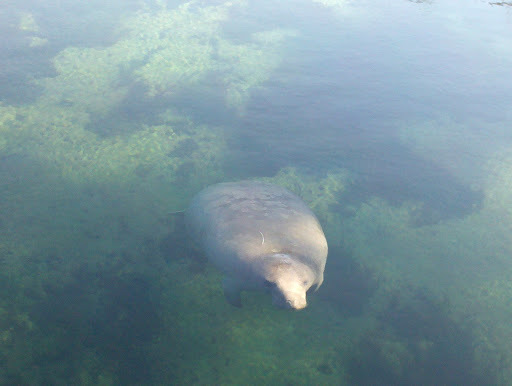 There we saw our first manatees, up close and personal. It was fun to watch them lazily float just under the surface of the water and then periodically surface for air with loud snorts. Looks as if you did have a restful day and you surely needed it. You certainly are taking in great scenery and venues. Keep up the good work…after you rest.